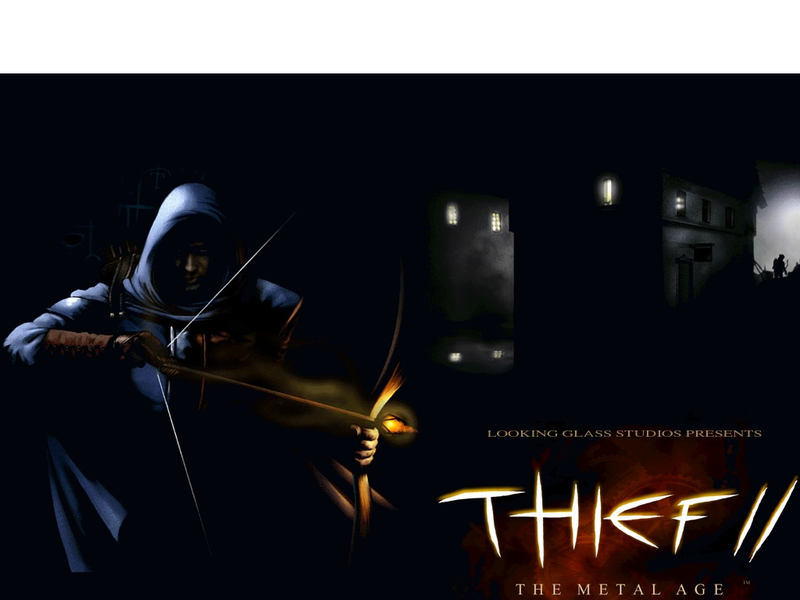 I’m going to start this piece about Looking Glass Studio’s 2000 release Thief II: The Metal Age by pointing out that, actually, there’s not that much difference with the original Thief; indeed it uses a tweaked version of the same engine. Essentially, this game is “further adventures of Garrett” with a few new features (including invisibility potions and even a remote camera) but, in general, similar gameplay to the original title. But I think it’s worth discussing why Thief II works so well. Whilst I doubt they were direct influences, it’s possible to trace this game’s spiritual lineage back to games like the original Saboteur! through Guild of Thieves, Inside Outing and even Bonanza Bros. The idea of the player having to sneak around a hostile environment avoiding danger if possible rather than confronting it head-on and ransacking buildings for treasure had already been tried in the 8-bit and 16-bit eras but it wasn’t until the post-Doom 3D FPS engines that it really worked and Thief was the first game that showed us what could be achieved. 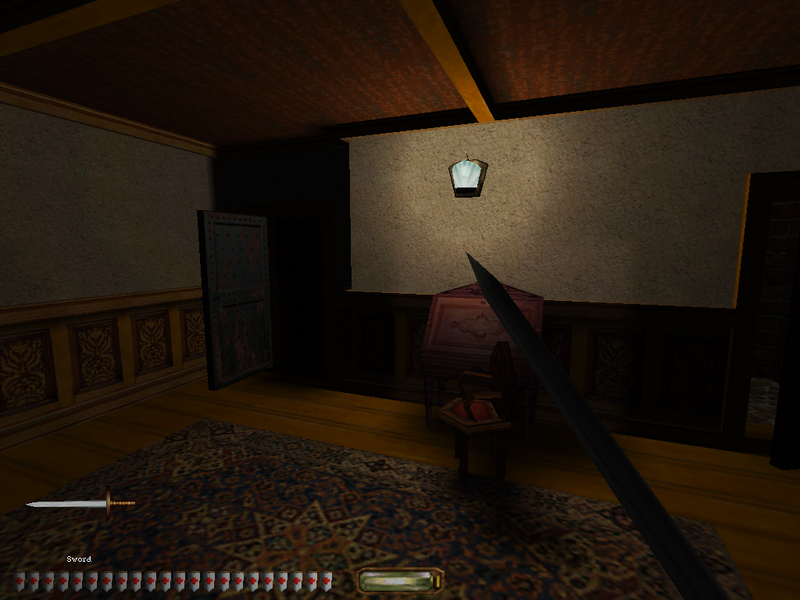 For starters, the player was able to explore the environment from a first-person perspective meaning that they could hunt for hidden switches and caches of gold as they would in the real world rather than typing “LOOK UNDER BED” or pushing a chair aside in an isometric environment (early first-person titles like 1987’s Driller had this freedom to explore to some extent but the necessary slowness of the gameplay made any real sneaking and guard-dodging antics impossible). The other main innovation was the use of light and dark: a player that could hide in the shadows (visibility being show with the useful onscreen “light gem”) and elude the watchful eyes of the guards this way rather than just moving when their backs are turned as in Bonanza Bros and Saboteur!. Using the shadows is a big part of the Thief games and demonstrates how much these titles were distancing themselves from the FPS games that were being churned out at the same times. FPS titles are shooter games, action games; the Thief series has much more in common with the original Zork, they’re about sneaking, exploring and grabbing treasure with the fighting being more of a secondary aspect to gameplay. For that reason playing them is a very different experience. When you hear guards you don’t run towards them, you try and stay away, hide in the shadows, or find a way of sneaking up behind them without being noticed and knocking them out (and then you have to hide the unconscious body); when you enter a room you don’t just dash through it, you search every nook and cranny looking for a hidden pile of coins or gemstone; rather than worrying about ammo the player instead worries about being seen. In this respect Thief II is actually a more “pure” realisation of the idea behind the Thief series than the first game since it sticks more to the looting and sneaking aspect whilst the original Thief tended to veer off into missions that involved the player finding their way around mazes and fighting monsters, something that there was already plenty of in other titles. "Come out come out wherever you are..."
As usual there’s a plot woven through all of this and, cleverly, much of this is revealed by listening to the conversations of other characters as you sneak around which not only adds an atmospheric element of eavesdropping but makes sure that the storytelling doesn’t get in the way of gameplay. Once again the Hammers, a villainous cult from the first game, are involved along with a new group called the Machinists. Oh, and although I had to wait until the second level to hear it, the excellent made-up curse-word “taffer” appears again. Although Thief II is basically more of an extension to the first game than anything else it’s arguably closer to the what the original game promised. Whilst Thief was supposed to be based around sneaking and stealing the developers couldn’t resist sending Garrett to forgotten tombs to fight zombies as well. Thief II seems more focussed on breaking into buildings, hiding in the dark, grabbing loot and dodging guards and it looks like there are rather less levels along the lines of “Down in the Bonehoard” with its infuriating maze-like tunnels and gas-breathing monsters. Last time I was in town, I noticed that the whole Thief trilogy (the third game, Thief: Deadly Shadows, was written by a different team and used a completely different engine but continues the story of Garrett and has similar gameplay to the first two games) is now available in a compilation and, if you’ve never got around to playing any of this excellent, atmospheric and innovative series, you really ought to pick up a copy. To pass the Thief series by would be the act of, well, a taffer.